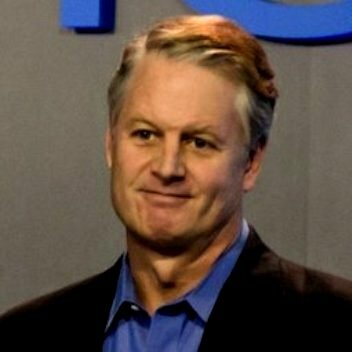 Portola Valley, California, USA - July 16, 2013 - Get insights from John Donahoe: learn 3 tips to beat the chaos from the CEO of eBay. One of the most under-discussed elements of effective leadership is how fast a leader must learn to stay at peak performance. Here are three concrete practices I recommend to help refocus and optimize your time for continuous inner learning. John Donahoe, CEO at eBay Inc.
One of the most under-discussed elements of effective leadership is how fast a leader must learn to stay at peak performance. Here are three concrete practices I recommend to help refocus and optimize your time for continuous inner learning. 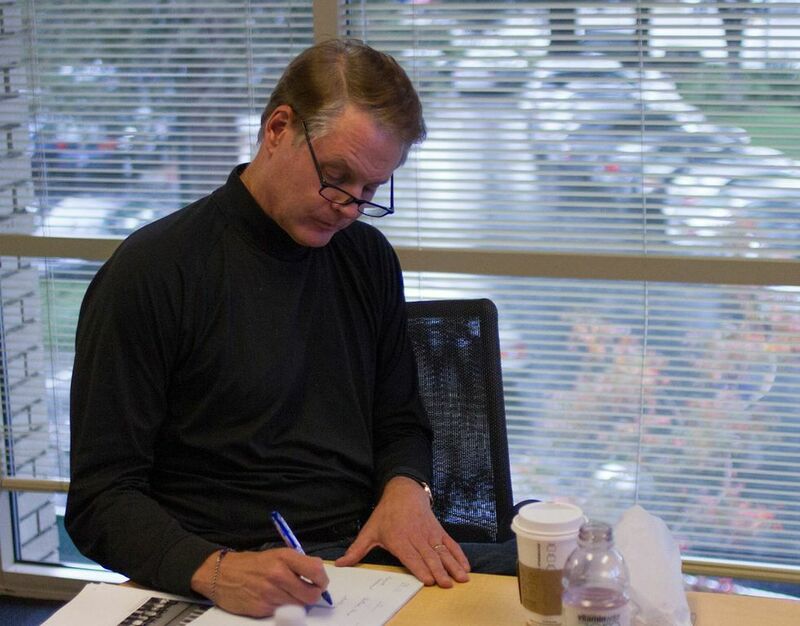 Most successful leaders never stop learning. In fact, they are voracious learners who are always trying to find ways to improve and enhance their own performance and that of those around them. I have found that one of the simplest tools for learning and enhancing my performance is to regularly reflect on how to spend my time. Every six months I go through a process where I step back, contemplate what I have learned over the previous six months, and then adjust my focus to ensure I am spending my time and energy in ways where I can create the greatest impact. I take a thinking day approximately once every three months. 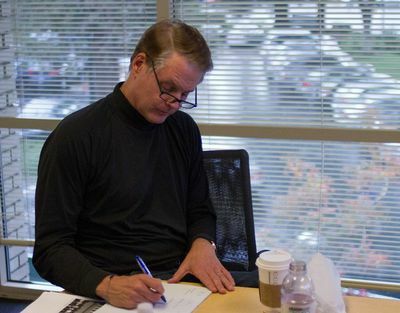 I’ll hide away in an empty office, stand in front of a whiteboard (and it must be a whiteboard J), and map out what is going on in the external environment and what I see as the company’s most pressing issues in the coming period. I think about what I have learned, which areas require my attention, and what changes I need to make - and remind myself not to worry about events over which I have no control. I just finished one of my thinking days last month. I filled a white board with my assessment of the external market and how we were doing against our priorities for the first six months of this year. As frequently happens, once I had written everything out in one place, I found it useful to step back and look at things from a holistic perspective. I emerged with new insights and with greater clarity about what’s most important. To remind myself of these insights, I wrote them out, as I always do, into my personal priorities file and now carry this file with me everywhere I go. My thinking days give me a refreshed, comprehensive view of how I am spending my time and allow me to recalibrate and adjust my goals, my priorities, and my calendar. I also force myself to identify where I can have the greatest impact and then make adjustments in my time. This makes me a better, more focused leader and ensures that I am driving my calendar, and not letting my calendar drive me. Sometimes, the changes are subtle. And sometimes, the changes are significant. But the important point is that I am not too proud to learn and adjust. When I do make a decision to guide the company in a different or new direction, I’ll share my thought process with my leadership team and talk about how I am adjusting my time and focus. I ask them to go through a similar process and then we share our priorities with each so that we are aligned for maximum execution effectiveness. As helpful as thinking days and re-calibrations are, there’s still no substitute for taking a legitimate vacation. This summer, I’ll be heading to the same Cape Cod beach house I’ve been staying at with my family for the past 28 years. My kids hate the house for the same reason I love it: it has a rotary phone, the cell phone service stinks and the closest Internet hub is two miles away at the local library. In today’s 24/7 work culture, I believe the notion that business leaders need to be connected warriors every day of the year is mistaken. I am very connected 50 weeks of the year, but I try to completely disconnect for 2 weeks. I admit that the process of cutting off from email and the internet is frequently stressful in the beginning, but it quickly becomes a very liberating experience. Without a constant barrage of work issues to respond to, I find that my mind calms down and my intuition begins to come alive. I am able to see things through a more creative lens and new ideas often emerge from my ‘time off’. Last year, for example, when I took an extended vacation as part of our company’s sabbatical program, I had some pretty transformational thoughts about reconnecting to our company’s purpose and setting ourselves on a good-to-great journey. I came back to work not just rested, but with more clarity and more conviction than I’ve had in years. This allowed me to share these transformational thoughts with our entire company which has re-energized our team and made me a more effective leader. So I firmly believe that time spent away to refresh and refocus is really not time off. It’s just time better spent.